For over thirty years, attorney David F. Simons has been assisting individuals in Honolulu and across Hawaii with employment law issues, including offering protection in cases of wrongful termination and discrimination based on age, gender, sexual orientation and other reasons. Our law firm is dedicated to helping clients who have been terminated or treated unfairly in their workplace. We have also negotiated for enhanced severance packages on behalf of our clients and provided assistance for employees who have been sexually harassed or were retaliated against for doing the right thing. The David F. Simons Law Office has a long-standing reputation for success. We pride ourselves on our knowledge of the law, our attention to detail and our standard of excellence. 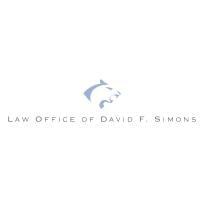 As a renowned and recognized employment lawyer, Mr. Simons takes pride in assisting individuals who have spent a significant amount of their career working hard before being terminated for illegal reasons. Employment law is meant to help the employee, and it's supposed to allow workers to feel comfortable while executing their duties. However, that's often not the case. Employees are often terminated for unfair, and even illegal reasons, such as objecting to illegal activities, or due to discrimination. At the David F. Simons Law Office, we recognize and empathize with the plight of workers. In fact, our lead lawyer has been responsible for some of Hawaii's biggest settlements and verdicts in employment law cases. We take the mistreatment of employees very seriously, and have dedicated our practice to working toward obtaining compensation for employees who have been mistreated. In addition, Mr. Simons is also thoroughly experienced in dispute resolution, including through arbitration, mediation or litigation. Whatever your circumstances call for, we're prepared to help. America's Top Business Attorneys, "America?s Leading Business Lawyers"